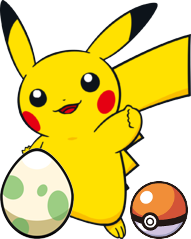 Discussion in 'Pokémon General' started by Yoppopopoy, May 10, 2015. Your imagination can be endless, so let's test it out! Create any type of Pokémon move that you wish. Please try to be as imaginative as possible. Recommended things that your move should probably include are listed below in order. I'll give you guys an example to follow. This is a move that I thought of a while ago, so I'll post it here. Secondary Effect | Description: User charges power and increases Sp. Defense by 2 stages first turn. Power is unleashed second turn; user faints. This move hits all Pokémon on the field. This move has a 30% chance to paralyze or burn the target(s). Special Traits: This move bypasses the effect of Light Screen (does not shatter it); Volt Absorb, Motor Drive, and Lightning Rod won't work against this move. Distribution: Zekrom, Thundurus, Raichu, Electivire, Ampharos, Eelektross, Magnezone, Lanturn, Galvantula, Electrode, Zebstrika, Plusle, and Minun. A woman's natural beauty is among the greatest allures of mankind, which has been tainted by the faults of both men and women. Unfortunate. KianaKaycie and megamagikarp like this. Secondary Effect | Description (Optional):The user stores ghostly energy inside it's palm and then punches the opponent. Special Traits (Does it bypass a certain move, ability, or drastically affect other Pokémon?) (Optional):Confuses the foe. Also note how I do not support the draco meteor nerfing by choosing 140 power, not 130. I've never told anyone, but... I've always thought they were lighthouses. Billions of lighthouses... stuck at the far end of the sky. They can see all the other lighthouses out there, and they want to talk to them. But they can't, because they're all too far apart to hear what the others are saying. All they can do... is shine their lights from afar. ...so that's what they do. They shine their lights at the other lighthouses, and at me. ...Because one day... I'm going to befriend one of them. Description: The user shoots out a large and powerful thorn-like projectile at the target. Secondary effect: This move has a 50% chance to poison. Distribution: Every Poison/Half Poison type Pokémon, Corsola, Ferrothorn, Bisharp, Breloom, Cacturne, Maractus, Chesnaught, Parasect, Rhyperior and Lucario. Yoppopopoy and BetterThanThatOtherHydra like this. Effect: Cuts target's HP in half. Effect: All Pokémon on the field have maximized happiness for 5 turns. Effect: All Pokémon on the field have no ounce of happiness for 5 turns. Effect: This move always goes first. Effect: Sharply raises the user's accuracy. Effect: Raises accuracy and speed by one stage. will rise if used consecutively. Effect: This move will always badly poison the target. Effect: Increases by 20 power for each stat that's been lowered. resets all stat changes to the target. Effect: Has a 30% chance to infatuate the foe of the opposite gender. Effect: Has a 10% of Cursing the opponent. Effect: Has a 10% of lowering the Special Attack by one stage. Effect: Drastically raises the user's Attack stat (3 stages). Effect: Drastically raises the user's Speed stat (3 stages). Effect: This move is both a Water and Flying type move. Effect: This deals damage to the Special Defense of the target. spore that will either poison, paralyze, or induce sleep in the opponent. based if used by Lunatone. Effect: May decrease the target's accuracy by one stage (30% chance). Effect: Turns the target into a Poison type. Effect: This is both a Poison and Water type move. Effect: This is both a Dark and Ghost type move. Effect: Does greater damamge the smaller the target is compared to the user. Minimum power is 1, max power is 150. Effect: Hits every Pokémon on the field, and regains HP from all damage put out. Defense, Speed, Accuracy, or Evasion) by one stage. KianaKaycie, BetterThanThatOtherHydra, megamagikarp and 1 other person like this. @[member="Nator"] Those are some truly amazing moves! There are so many I'd love to continue reading, but I don't have the time unfortunately. I'm really liking Massage. Description: The user launches hot coals around the opponent's feet, which will burn grounded Pokémon that are switched in. Sending out a grounded fire type removes the coals. Distribution: Torkoal and Magcargo. These two need the buff. Description: The user lifts a tombstone out of the ground and smashes it into the opponent, hurting itself in the process. Secondary effect: The user takes 1/4 of its total HP. Distribution: Only a few physically attacking ghost types, such as Banette and Duskinoir. Description: The user melts itself down, the re-freezes, sharply raising its defense and special defense. Can only be used once. KianaKaycie and Yoppopopoy like this. Ooooo I love making up Pokémon moves! Description: The target is trapped in a storm of petal and attacked for four to five turns. The target can't flee during this time, and has a 40% chance of becoming confused. @[member="BetterThanThatOtherHydra"] I like what I see a lot. I love Hot Coals when you consider the distribution because Torkoal and Magcargo fit perfectly for it! Magcargo actually used to be my favorite Pokémon at one point, and I'd wish it had some type of buff or niche over other Pokémon to try to counter its 4x weakness to Water-type and Ground-type. Sorry everyone for such a long list. My OCD kinda kicked in. Effect: the user raises its speed and evasion. Effect: The user puts up a wall of energy around itself that drastically raises its sp defense. Effect: the users summons up dark purple clouds that release a toxic rain for 3-5 turns that heals poison types slightly while slightly damaging other types. Effect: The user user makes a terrifying sound that lowers all the target's stats. Effect: If the user attacks a target with a berry, the berry will be poisoned. If the target is a poison type, the berry will do nothing if eaten by it. Effect: The user traps the opposing team in the ground for three turns. During this time their accuracy is lowered and can't switch out. Effect: the user's defense increases and there's a 30% chance of freezing anyone that makes contact. Effect: if the user of this move is to go last, half damage will done to the user. If the user goes first, regular damage will be done. Effect:The user creates a golem that takes damage for it and attacks any opponent that makes contact with it. It works like a more powerful substitout. Effect:Knock back: The user hits the target and makes it switch out. Effect: the user attacks with fists of fury. The faster the user, the stronger the attack. Effect: The user spins its foot around and around at the target for five turns unless it misses. It gets more powerful each turn. Effect: The user focuses and switches its attack stat with its SP Attack stat. Effect: the user summons a huge rock from space that shatters across the battle field.It hits everyone around the user. Effect: 2-5 shards are shot at the other side. Hits randomly in double and triple battle. Effect: the user floods the battle field and and hits everyone around it. Effect: The user sings a song that increases the power of its water type moves, and restores up to half of its HP. Effect: The user hits target with intensely fast waves that may make it flinch. Effect: the user spins into the target. The faster the user is the more damage it will do. Effect: The user strikes the target unexpectedly and may cause it to flinch. 30% chance of making it flinch. Effect: The user bites the target, draining it of a sixteenth of its health, and has a 30% chance of poisoning it. Effect: The user sprays something around itself that protects it from fire type moves for 3 turns. Effect: The user paralyzes the target with fear and lowers the targets defense. Effect: The user surrounds the battle field in darkness that hurts all Pokémon slightly for five turns. Effect: the user gives the target's mind a jolt that may confuse it. Effect: The user summons lightning from the sky. This attack has an 85% chance of hitting twice same target, and hits two targets in double and triple battle. Effect: The user breathes a terrible energy thst has 75% chance of burning the target. Effect: the user whips up a sharp stinging wind that strikes the target. This move always goes first. Effect: The user sets up a curse that confuses and drains the target of health. Effect: The user attacks with a chilling mist that may lower the target's accuracy. Effect: The user attacks with a blinding ray of light that may lower the target's accuracy. Effect: The user strikes the target with a massive wave that may paralyze it. Effect: the user grabs the target in a painful way that may paralyze it. Description ~ The user makes the room black, and then it makes a huge blue light, to create a scary face that scares the opponent. 60% Possibility to cause Paralysis. Water Edge- A water slash from a sword that is known to cut all. If you do hold the sword wrong, you may confuse yourself. Secondary Effect | Description (Optional) May confuse yourself. Special Traits- Cuts through Light Screen or any status buffs that the user has. Secondary Effect | Description (Optional): The user swirls a strong wind around its claws and slashes at the opponent. May confuse or make the opponent flinch. Does it make contact? : Yes. Description: The user makes the opponent feel nostalgic, and forces it to switch out. Secondary effect: The user switches back as well, provided that the attack hits. Distribution: Togepi's evolution line, Meloetta, Audino, Gardevoir, Gallade and Slowpoke's evolution line. Description: The user gets inside the opponent's mind and messes with it, causing the opponent's stat changes to invert. Distribution: Drowzee's evolution line, Abra's evolution line, Espeon, Umbreon, Mewtwo, Reuniclus, Inkay's evolution line, Darkrai and Mismagius. Description: The user charges itself with positive energy, dealing damage to anyone who touches it. Deals 1/16 HP damage to whoever makes contact. Secondary effect: Has a 10% paralyze chance upon contact. Special Traits: The effect remains as long as the Pokémon stays in battle. Distribution: Magnemite's evolution line, Lanturn, Rotom, Metang, Metagross and Klinklang. Description: The user creates a static noise, startling the opponent thereby reducing its evasiveness and sharply reducing its defense stats. Special Traits: Passes through Substitutes, blocked by Soundproof. Distribution: Rotom, Probopass, Metagross, Jirachi and Dusknoir. Description: The user creates artificial light, stimulating the growth of plants. Increases the power of Grass type moves by 50% for the next 3-5 turns. Secondary effect: The duration doubles (6-10 turns) in Intense Sunlight or Extremely Harsh Sunlight, but halves (1-2 turns) in Rain, Heavy Rain, Hail, Sandstorm or Fog. If the weather is changed while Artificial Light is already in effect, it will keep the original duration. Distribution: Sunkern, Sunflora, Celebi, Torterra, Maractus, Ho-Oh, Florges and Volcarona.